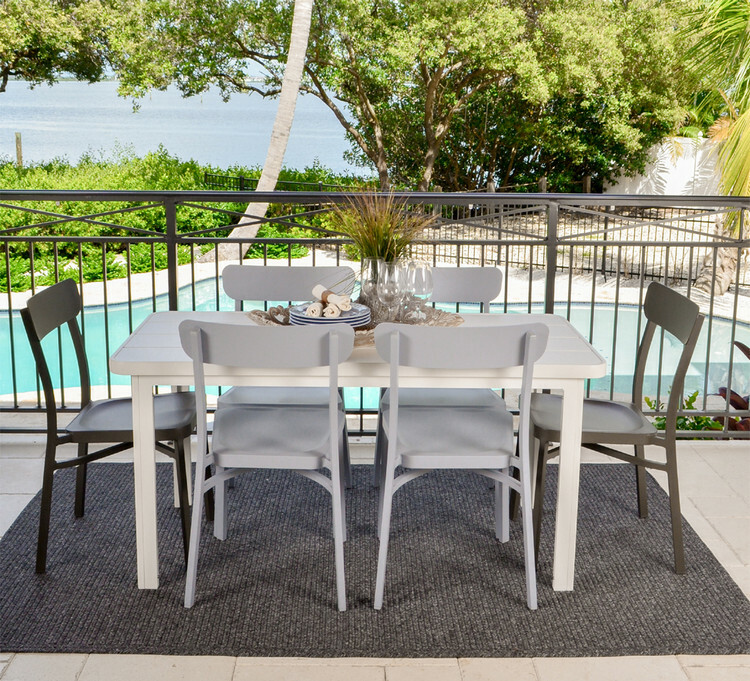 Brighten up any size outdoor space with the Watermark Living™ Avondale Collection. It is perfect in any environment and any season. Every joint of the collection is fully welded and the finish is a baked on powder coat. The lumbar support on the chairs ensures ultimate back comfort and there are several finishes to choose from on both the chairs and the tables.